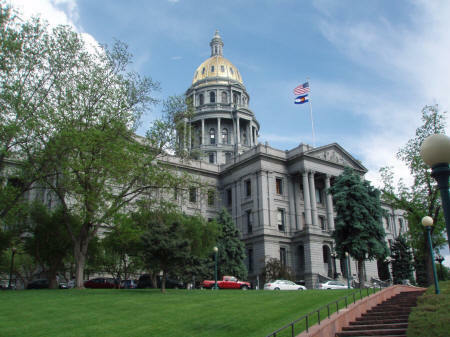 On Monday, Colorado’s Secretary of State threatened to sue the Clerk/Recorder for the City and County of Denver if it followed through with plans to mail 2011 ballots to over 55,000 Denver voters classified as “inactive” because they failed to vote in 2010. The dispute, which is vaguely reminiscent of the recent Battle of Cuyahoga over Ohio absentee ballot applications, once again pits a state official determined to enforce state law against a local official who seeks to continue a practice aimed at assisting voters. What’s interesting in Colorado, however, is that the law is somewhat uncertain – which means that both parties in this dispute (Donnybrook in Denver? Rocky Mountain Rumble? Mile-High Melee?) might not have the full weight of authority on their side. The roots of this controversy lie in Colorado’s decision to give counties the option, beginning in 2010, to use all-mail elections in primaries. In order to assure that all voters in such election would be prepared for all-mail elections and have an opportunity to cast ballots, the state legislature mandated that clerks mail ballots to inactive voters in the 2009-10 election cycle. That statute was not re-authorized, but Denver’s clerk (and others) planned to continue the practice. At the root, the dispute between the Secretary and Denver hinges on one section of state law: namely, the part that says election offices “shall” mail ballots to “each active registered elector.” The Secretary says that “shall” means ballots can be sent ONLY to active voters, while Denver says that “shall” doesn’t mean they “may” not send ballots to other voters – citing the recent required practice. If a court does get involved, I would expect the 2008 law requiring inactive ballots to get a lot of scrutiny, as well as the decision not to extend it beyond 2010. The upshot of all of this is that Colorado’s election laws (which I have no doubt were amended with an eye to improving the process for voters) are and have been a moving target – and such targets are very difficult to hit with any degree of accuracy. It should, therefore, be a cautionary tale for anyone – but especially legislators and advocates – who seeks to amend, repair or update election laws to improve the process. There is an aphorism in the legal profession that says “it is more important that the law be certain than just.” The current dispute in Denver suggests that when the law is not certain – especially election law, which operates in an environment where Election Day cannot wait for resolution of disagreements – it can create conditions that unjustly (and unnecessarily) put the election process into question. 2 Comments on "Denver’s Inactive Ballot Flap: The Difficulty of Hitting a Moving Target"
The spotlight should be on Denver. Although I am not familiar with potential interpretations of the ‘recent required practice,’ if you are neutral on the topic, I’d suggest a look at the history and practice of elections in Denver. When I was an elected commissioner, bureaucrats ran the show, sometimes in collusion with any commissioner who gained their favor. This was done, as you may imagine, legitimately and sometimes not so legitimately. During my tenure, 5,000 plus USPS address failure notifications were stored at the commission, never entered into permanent records. They may have disappeared mysteriously in the scandal of the “stolen cabinet.” This was defiance and resistance, unwillingness to maintain the voter lists. Who knows why? Finally, in 2007, the regional post office stated in a letter that 300,000 ballots were sent in an election to abolish the 104 year old Denver Election Commission in favor of subjugation with the administrative, and elected, Clerk’s Office. 300,000 mailed. 60,000 voted to abolish the Commission. This move, it was said, would improve the presence and visibility of elections. It did not. Check with any list purveyor. In urban environments, a 30% turnover occurs every four years or so. How can anyone claim to know who those inactive Denver voters are? Research shows over and over again that convenience does not increase turnout. Our own research showed a decline in early voting, and an upward curve in participation up to the final day. In a cost cutting move, we reduced the number of early voting days, which did not affect turnout. Should convenience be promoted at all costs? Doesn’t a voter have some responsibility? Although Denver elections are nonpartisan, the current Clerk is a Dem. I doubted her authority in defiance of the law, however, when she failed to mention in her claims of potential disenfranchisement, that provisional ballots are always available. And, there’s the waste. Denver purports to be a green city while wasting hundreds of thousands of dollars and tons of paper on ballots? Really, as an administrator, can anyone justify 55,000 unaccounted for ballots floating around the city? Thanks, Jan … I don’t think Colorado (or Denver) get quite enough credit for being as interesting as they have been over the last several years. I also don’t doubt that there’s far more to the story given that history. However, the main point here – namely, the leftovers when election laws change and their impact on everyone concerned – stands.